So here's another tutorial from me! 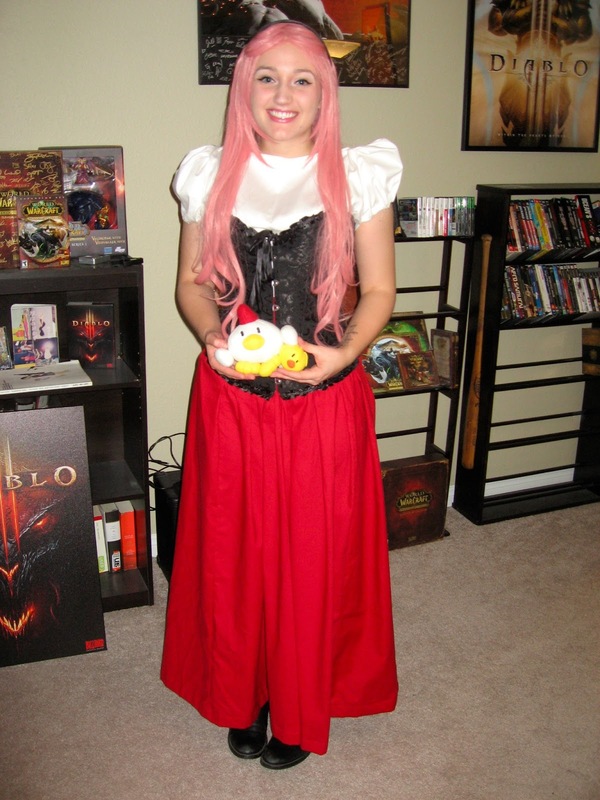 This one is a tad old, as I made this costume for halloween last year. But I still think it's super fun and easy to make! If you ever need a last minute costume, this one is perfect. You can buy most of it, and only have to sew a few pieces. I chose this costume for a few reasons. One, it was going to be time and cost efficient considering the amount of time I had left to whip together a costume for halloween. Two, I have always been a fan of the Harvest Moon video games, and thought it would be fun to find something from there. So I decided to find my favorite girl, or wife, and go with that! I ended up choosing Popuri because I really liked her design, and I thought she was a really sweet character. I started off searching for a medieval blouse, with the high color and the poofy sleeves. I remembered having a great pattern that I used previously for princess peach, but because the pattern pieces were at home, I had to go hunt it down again. I used the Disney Princess, Cinderella pattern to get the top for this outfit. I didn't do the extra lace lining along the should trim, as this isn't pictured in every version of popuri, but it's really up to what you want! 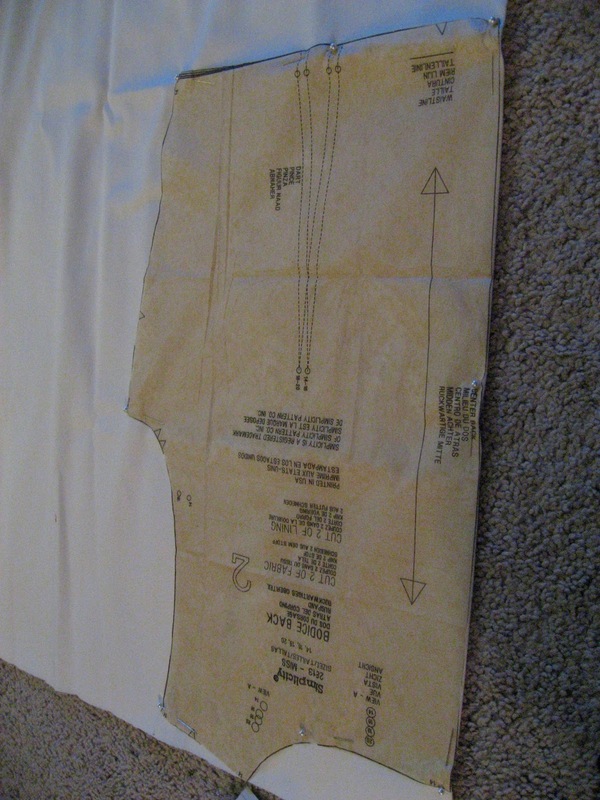 In the same Cinderella pattern, there is a portion for a large skirt. Normally, this is attached to the hip pieces, and then to the bodice. But for this outfit, I sewed a strip that would serve as a waistband, and then sewed in a zipper. I used the same pattern pieces, and length of material, to create a very full skirt. I was tempted to make a white, lace skirt to place under the red one, but the red skirt ended up being full enough on its own. this piece was very simple to sew, as there were three main panels, and then just creating a seam on the bottom, creating a waistband that fits your waist, and a zipper to conclude the piece! I knew when I started this project that there was no way I was talented enough to attempt the boning of a bodice, and to create my own corset. So, I decided to purchase my Popuri corset online to complete the piece. I asked around and had a few friends recommend shopping online at Coreset Story to find one that fit what I needed. I looked around the site for a few days, looking for the perfect corset, and ended up finding a good one! 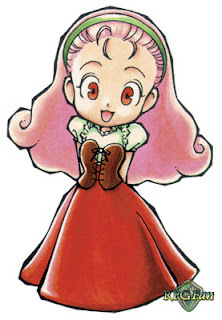 I thought this corset fit Popuri's very well - it was simple, lacy, and at the heartline neck I was going for. So I placed an order and was so excited to see that it fit! It's comfortable, easy to wear, and really completed the look of the costume. The final pieces of the costume came down to the wig, and a few accessories. 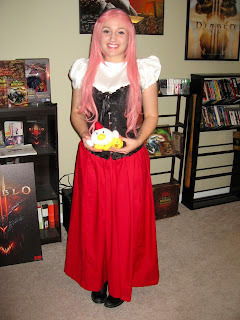 I found the pink wig on ebay after looking for a while. I always spend some time looking on ebay (usually a few months in advance, as shipping takes so long) to find the perfect length, color, and style. I luckily found one that fit my needs! I stopped by a Target and picked up a thick black headband to fit the cosplay once the wig was in, and tried it all on to make sure the headband fit with the wig on. I already had a pair of black boots, which worked out well in my favor. If you don't have boots, I'd say simple black flats or something similar would work well too! But I really liked the boots, as they have that farm feel I was really going for. Finally, I went to look for that last minute Harvest Moon touch. 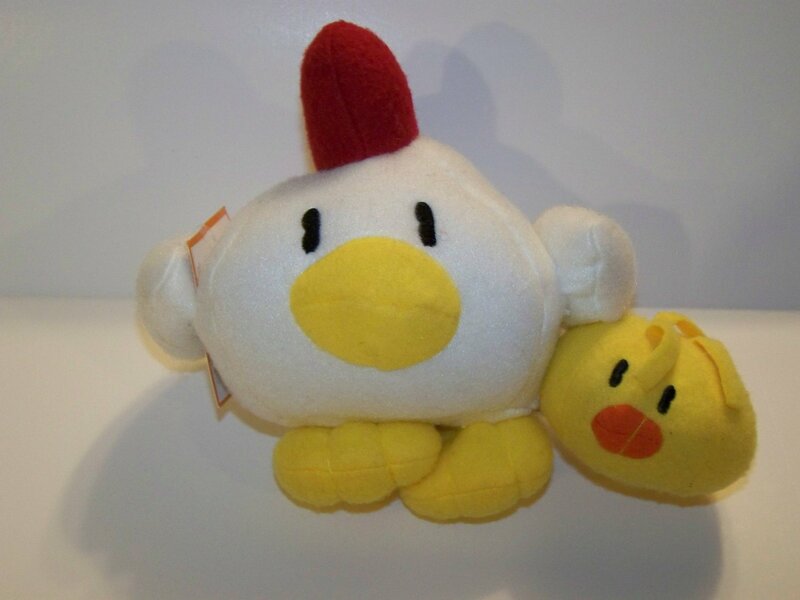 I looked for a while to see if there was anything I could find, and randomly while on amazon, I found the Harvest Moon chickens! So I ordered those immediately! On Halloween, I put the costume together and did the prettiest, yet simplest makeup I could. I really felt like it would fit the character. I had a great time hanging with my friends and wearing this costume, as it was super comfortable and easy to move around in. I would highly recommend it for anyone looking to start out in cosplay! It's a great way to learn how to sew, and bring together some accessories, too. Let me know if you have any questions, I'd be happy to answer them! As always, best of luck, everyone!